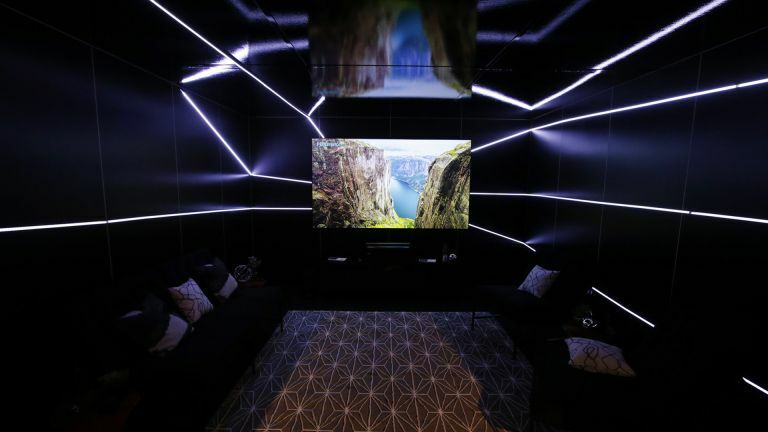 Hisense has announced a brand new style of television in its 4K Laser TV that features a 100-inch screen. How? It’s a combination of a screen, projector and Harman Kardon audio setup. The new Hisense Laser TV, as it’s aptly called, features a 100-inch screen onto which a laser projector fires the images. This uses an amazing 3000 lumens laser with 4K resolution for crisp images even in daylight. The fact the screen is simple also means it can easily be mounted anywhere thanks to its lightweight form factor. Hisense says the refresh rate is faster than LED TVs making it ideal for watching high speed sports and action movies alike. It also allegedly offers wider viewing angles than LCD TVs meaning it’s great for large groups too. The audio system is also impressive with Harman Kardon taking care of sound. That means you get a 2.1 system with five speakers plus a 6.5-inch wireless subwoofer for all the bass you need. That totals up to a 110 watt system for plenty of punch. The system is also smart with apps built-in for the likes of Netflix, Amazon Video, YouTube and more. The Hisense Laser TV is out now in the US priced at $10,000 which is about £7,610 although a UK release date and pricing have not yet been announced.